Family rate includes a maximum of 5 family members. There must be 1 adult and no more than 2 adults. In addition to offering swimming, and life saving courses and lessons, the Peace Regional Pool also offers a ideal venue to rent out for a large group. We also offer sponsored swims where community-minded businesses or individuals can sponsor the costs for a free community swim. 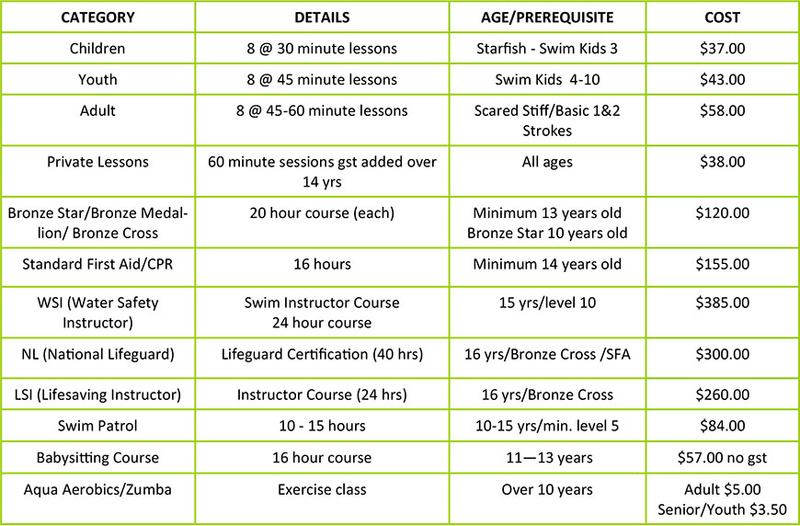 Please note: per hour fees include cost of lifeguards, please contact the pool to confirm pricing.